New master(y) in practice at Ballymore? At Ballymore last week, newly-appointed Queensland Reds head coach Brad Thorn was discussing his coaching philosophy, talking decisively about action, improvement and passion and whilst being highly experienced, acknowledging being considered as a rookie coach. “No.1, is care ... I’m big on caring about, the team caring about each other, caring about the cause they’re trying to achieve and they’re striving for and big on caring about who you’re representing, be it the family or the fans and stuff like that" Thorn said. "I’m massive on that, massive on working hard - talent’s not enough and having high standards. I talk about striving for excellence with all the teams I’m part of." In previous sports specific research, Cliff Mallet of University of Queensland explained that “intrinsically motivated behaviors involve genuine interest and enjoyment in pursuing particular activities with natural tendency to seek unique challenges, explore and learn” (Mallett, 2005). Therefore, Thorn's suggested quest to tap into athlete’s intrinsic motivation should effectively facilitate development, enhance player’s creativity towards learning and pervasively drive the athlete through enjoyment of tasks and challenges, searching for mastery. Thorn and his co-coaches should “agitate over irritate” to challenge players to accomplish something they want to achieve. My current belief that rugby union player development and coaching has become algorithmic as opposed to heuristic. I believe through our (coach’s) desire of personal extrinsic motivators (both self-determining and non-self determining), use of extrinsic rewards, controlling feedback, adopted tactics and set instructions for reliably safe outcomes, we are acting against player’s inherent tendency to seek out challenges, exercise their capabilities and desire to explore and learn. Thorn's early interviews suggest he is going to tap into different areas of player's motivations. We understand drive in most sporting participants is found from intrinsic motives; their internal desire to master their sports and challenge themselves through committed engagement in highly repetitive activities. High performance coaching environments such as QLD Reds need to adopt and offer players ingredients for genuine motivation; mastery, autonomy and purpose. These ingredients have been mentioned by Thorn's early interviews and are echoed within research conducted in sports coaching involving study of self-determination theory, which addresses innate psychological needs of autonomy, competence and relatedness. Mallet researched and explained that “self-determination theory underscores the role of environment in fueling people’s perceptions of (autonomy, competence and relatedness) in contexts of sport” (Mallett, 2005). Amorose supported that “the more athletes felt autonomous, competent and have sense of relatedness, the more reasons for participating were self-determined in future” (Amorose, 2007). "We feel strongly that Brad Thorn is the right person to lead this change and that his appointment as head coach is the necessary catalyst for that change,"
"Brad has a proven track record of success as both a player and a coach. "He is without peer when it comes to the culture and professionalism required to be successful at the highest level of our sport and he is enthusiastic about moving the Reds forward and creating a winning culture at Ballymore once again. Combine the "how" and "what"
Vealey (1986) recognized sports confidence as “belief or degree of certainty individuals possess about their ability to be successful in sport”. I believe progression or development of skills to performance adaptation requires character growth, which would enable Thorn to adopt a mastery outlook on his coaching practices, evaluate his performance and areas for improvement made possible from developed confidence. Positive effect and psychological impetus are regarded as drivers for enjoyment, which in turn would offer greater engagement to Thorn's early stages of coaching development. Brad and his co-coaches need to offer and monitor accountability and feedback of control offered and adopted by players whilst encouraging player autonomy in learning and tasks, as autonomy leads to engagement, which results in drive for mastery and high standards he has mentioned. Players when adopting a Thorn-like mastery mindset shall be driven by constant and consistent desire to improve, focus on learning goals and have incremental theory towards sport specific knowledge and skill level. Players with mastery mindset will find intrinsic motivation and drive for the pursuit. Thorn, McGahan and Mooney can fit into the equation by understanding player’s personal strivings, motivations and typical tendencies, subsequently offering consistent, critical yet non-controlling feedback and offer support and praise for effort, strategy and exploration of skills and abilities. Some of the main questions and areas I wanted to look around included different tactics and methods for athlete engagement in different sports and ways these high-performance coaches offered autonomy supportive methods and ways to develop players while developing their own practices in elite atmospheres. Sitting down first with Brian, Frank and Cormac, we discussed the recent stats provided by Club Players Association addressing player dropout (see one of my previous blog posts), talking about how players have changed, creating a necessity for improved player-coach relations and changes to traditionalist ideas to occur. As I posed ideas including acknowledging the challenge of successful coaching is recognizing social interactive dilemmas within individual and team goal setting and development, offering suitable scenarios and choices with all members’ involvement and collaboratively dealing with matters as opposed to eradicating them, they called upon examples faced within high performance amateur sport such as player's professional and family lives and the supportive, flexible roles they must adapt to support different circumstances. These high-level coaches all acknowledged the importance of coaching the individual, recognizing players as a person and all eluding to autonomy supportive practices and expressing elements of self-determination ideas for player engagement and involvement in decisions for sports practices with Cormac mentioning ideas from Google's supportive and inclusive ideas and his application into sporting atmospheres. As mentioned, I was fortunate to shadow Willie Anderson, who allowed me to question methods and reasoning for choices made in live sessions. Again, like previous coaches, I found him to be extremely athlete focused and autonomy supportive to player decisions and actions. He frequently used questioning and player involvement for decisions in his drive to make players "warriors as well as winners". He discussed the importance of delegating to other coaching staff and players; he echoed like I regularly mention to the players I coach, "once they step over the paint, it is all down to them", supporting them to make decisions and drive player autonomy for how and why they play. He drew upon a document drafted by former National Coach Development Manager for IRFU, Stephen Aboud, talking about the importance of creating a positive environment for the players to grow and constantly reviewing his own performance through a 360-degree process, addressing abilities to plan, align plans and empower. If they want coffee, give it to them black...no sugar, no cream; let's see how much they want it. At first, it came across as quite an authoritarian approach; however, akin to all the excellent coaches spoken with over the past few weeks, he showed he was trying to remind players of their passion and drive like when they initially adopted the sport. 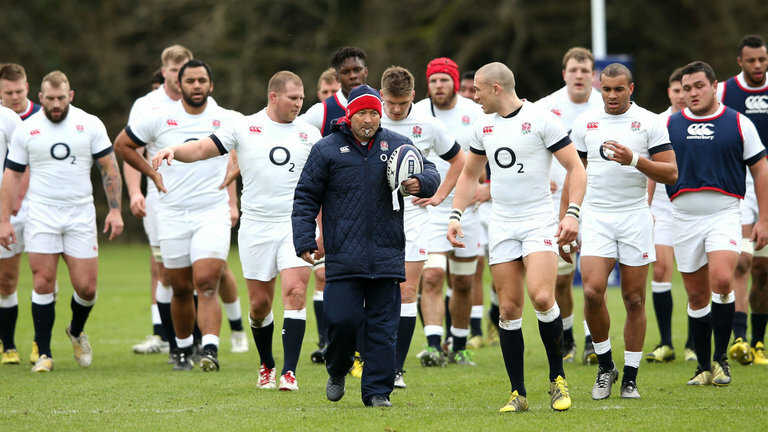 Similar to Eddie Jones' beliefs displayed at ICCE Conference, he wanted them to embrace the professional attitude towards training with the amateur's ideals of enjoyment and love for the game. Paddy talks about the "buy in culture" he assists developing through encouraging genuine friendships within the teams he's involved in, supported by a culture of honesty among all those involved. He also encourages greater player autonomy and engagement through functional training and scenario based sessions and games, developing player's decisions under pressure while encouraging them to play, chase and win the game, forever learning lessons throughout. Discussing similar areas with a person in charge of coach development, I was fortunate to discuss ideas and applied strategies with Matt Wilkie. We discussed how we felt coaching within different hemispheres had become very content based and how he was implementing ideas to offer a greater focus on coaches for how they coach and why for greater impact among players of all capabilities. Introducing and applying principles such as cueing (language), constraints based coaching and ideas from Basic Psychological Needs Theory, whereby coaches and players alike understand the concept of evolved psychological needs and their relations to psychological health and well-being, predicated on autonomy, competence, and relatedness, which shall offer greater understanding for higher levels of commitment for game involvement for coaches and players alike. He discussed ways in which he could create avenues for coaches to turn to and progressively discuss ideas and practices through communities of practice and online techniques and strategies to break down traditionalist ideas and coaching rigidity within rugby union. Combining these discussions with high-performance coaches in Irish sport alongside notes from presentations in Liverpool's International Council for Coaching Excellence conference, there is a definite acknowledgment towards player awareness and autonomy alongside tactical periodization where coaches and programs are structured to meet both player needs and sports expectations. But, in my opinion, where are possible areas of improvement for coach adaptability and learning opportunities? One immediate avenue of opportunity would be the introduction of communities of practice between sports; gathering ideas, effective adopted practices and even cross code reviews to develop understanding and add value from other avenues. I believe we have become very content focused and over analytical towards how we believe and perceive players within team sports SHOULD be played, coached and reviewed. However, with this, we have lost the concept of acknowledging the social and interactive side to coaching; offering ideas, choices and solutions to scenarios which may be sport applicable or just socially responsible when required for all players and coaches involved to collaboratively overcome and improve. "Coaching is like selling the same hotdog to a player everyday and telling him it's good for him; you just need to change the sauce or topping for them"
Eddie Jones delivered as expected for the opening of ICCE Global Coaching Conference 2017; insightful, challenging, direct. An insight into his personality started prior to his keynote; introducing himself to many senior delegates at ICCE Conference and trying to probe for their background to see if possible to extract some information from them, displaying his passion for learning and development. He drew upon often his most recent coaching posts within both Japan and England national sides. He described how he developed team leaders within Japan national side by conducting coach-less meetings and allowing them to fail plus adding extra training sessions to give them "ahead start" whilst trying to create an "amateur spirit among the players and learn to enjoy training again". He spoke of some of the adopted practices from Japan had been introduced to the English national side, most notably introducing a game model and tactical periodisation to their preparation. He and his coaching team ensures they train frequently above game intensity and place themselves under the pressures experienced during games while adopting "functional training" practices, seeing players making decisions more regularly and working under fatigue with S&C coaches and rugby coaches working in conjunction together. Jones described how we need to adapt as coaches, understanding how our sports are currently played and practices of other sports. He described how our role as coaches is to "make players uncomfortable, to make players grow", continually making the players to think for themselves or make decisions as part of a group and act independent from coaches. He touched on our ability as coaches to "offer accurate feedback and enthusiasm on the run", something I have discussed previously within rugby union circles. I believe we as coaches need to address our current fundamental purposes in the game; understanding the needs of players as individuals, ensure players basics skills are addressed and developed while expanding their imagination and motivation to succeed within the sport, points which were echoed in Jones' keynote. Don't be afraid to look at things without the bias of tradition. It takes courage to think differently. Thanks for sharing Mr Jones and thanks to ICCE Conference for organizing a great start to the conference. This week I am based in Ireland in preparation for ICCE coaching conference in Liverpool while combining visits to Ulster Rugby academy, IRFU in Dublin and catching up with age grade coaches involved in GAA football, all trying to understand how their coaches strengthen coach-athlete relationships and continually engage their players. An interesting article was forwarded to me regarding reported raised concerns from GAA and Club Players Association concerning player drop out rates and hurling fixture calendar. Liam Griffin, the former All-Ireland winning Wexford manager and executive member of CPA, made reference to the 2013 ESRI report, 'Keeping Them In The Game', which revealed dropout rates in GAA were 75% between the ages of 21 and 26 in football and 60% in hurling and camogie because of lost interest. He praised the work of the GAA in fostering interest among young people, but said the issue of large numbers dropping out of the game at adult level was a "crisis", pointing to the irregularity of fixtures. Could this increase in player dropout be as a result of athlete burnout due to extended seasons, uncertainty of fixtures and transition between competitions? Athlete burnout results from “chronically frustrated or unfulfilled basic physiological needs” (Cresswell, 2006) and “denotes a negative emotional reaction to sport participation” (Gustafsson, Kenttä, Hassmén, & Lundqvist, 2007). Radeke (1997) identified the main symptoms of athlete burnout syndrome, which results in player illness, injury or most applicable for my research and this example, dropout. These symptoms are emotional and physical exhaustion, sport depersonalisation or devaluation and a reduced sense of accomplishment. Thibaut and Kelly (1989) recognized burnout as “a consequence of chronic stress and exposure to a point where unfavorable cost-benefit ratio for sport engagement”. Deci and Ryan recognized the basic physiological needs as autonomy, competence and relatedness or connection to others. Satisfying these basic needs shall “foster self determined motivation” (Hollembeak, 2005) and has been associated with “higher self-esteem, higher task engagement and lower anxiety” (Deci, 2001), reported as a problem with these players having seen 24,000 join the CPA due to frustration with fixture list. However, athlete intrinsic motivation is not the only reason for lower levels of athlete dropout; Lonsdale’s research found autonomous extrinsic motivations, such as integrated or identified regulators, also resulted in lower levels of athlete burnout. Therefore, ideas such as players being able to express a sense of themselves or achieving personal valued outcomes within better defined periods of the season could be areas to increase athlete engagement to sports or reduce levels of dropout from sport if adopted or encouraged. Athlete devaluation to sport, regarded as “perhaps most cognitive of burnout dimensions” (Lemyre, 2006), has strong links to lack of autonomy (such as feelings of choice and self-directedness in sport development) and competence (perceptions of effectiveness in sport or team). Lonsdale’s research also found greater or stronger links to devaluation through lack of autonomy. Are GAA hurling losing club players entering into their investment stages of sport participation as they feel there is less choice surrounding fixtures and scheduling or lack of perceived accomplishment in club atmosphere? In a rugby specific study, Cresswell and Eklund found that “reduced accomplishment and devaluation featured most prominently” in their research, alongside finding that athletes needs satisfactions were impacted by reduced sense of accomplishment and sport devaluation, similar to other research. What can the clubs and coaches involved try and do immediately to stop the loss of players and keep them engaged and involved in football and hurling? Emotional support and perceived efficacy in hurling involvement are areas coaches can assist for prolonged athlete involvement, retention and engagement; this could include ideas such as cultivating personal involvement with players, offering two way communication, utilizing player input and understanding player’s feelings (Gould, Tuffey, Udry, & Loehr, 1996). Cresswell and Eklund (2006) also found concepts such as enjoyable challenges within rugby, open and free communication with coaches and management alongside few or flexible responsibilities outside sport allowed and encouraged player engagement and reduced burnout or dropout. Coaches and administration staff alike should take note from previous qualitative investigations which found attributions to burnout symptoms included pressure to comply and perform in elite environment and transitions between competitions or stages in season, which added emotional and mental stress, highlighting another strong reason why GAA should address the fixture scheduling and try stopping the loss of young adult players. How do high level coaches create a highly creative and competitive atmosphere? How do coaches in high performance atmospheres keep team players motivated? Before we look at an excellent example within rugby union, let's remind ourselves of earlier research around this area. Results from Pope and Wilson’s studies showed athletes who perceive coaches to be supportive of decisions, provided with clear feedback concerning goal pursuits and engage with them in genuine and empathetic manner report greater need fulfillment, more self-determined motives and more perceived effort in sport (J. Pope & Wilson, 2012). Supporting this, Vallerand and Mageau’s research has shown that intrinsic motivations and self-determined extrinsic motivators are necessary ingredients for athlete’s optimal function (Mageau, 2003). Deci and Ryan’s research investigated that intrinsic motivation is experienced as consequence of feeling competent and selfdetermined. Intrinsic motivation leads to greater persistence, improved performance and enhanced well-being in a physical setting. While intrinsic motivation stems from innate physiological need of competency and represents the prototype of self-determined behavior, self-determined extrinsic motivators, which are extrinsic motivators which have been internally rationalised with oneself, become activities which are being carried out as are important and concordant to one’s values (Mageau, 2003). It has been researched that changes to people’s perceptions of competence and self-determination (relatedness and autonomy) should increase intrinsic motivations and player identification while decreasing introjection and amotivation (Pelletier, 1995). Self-determined forms of motivation also result in optimal behaviour, resulting in peak performance and persistence (Deci and Ryan, 2008). Therefore, coaches need to offer autonomy supportive methods through involving players in decision making and goal setting for all team aspects, allowing opportunities for initiative and provide non-controlling feedback to allow players to feel competent in their sport and confident in their choices. This should develop self determined and motivated athletes who in turn shall invest greater effort, report higher levels of concentration, be more persistent and ultimately perform better, based on previous research by Mageau (2003). Eddie Jones and his England staff continue to use their vast imagination to help come up with ways for England to acquire knowledge and increase their intelligence collectively as well as individually. Allowing players to take initiative and greater control of what they do shall offer better understanding of why they do it. Offering greater levels of player involvement in decision making and coaching content shall also allow coaches to focus on dynamic coach-athlete relationships, noted as the foundation of coaching. Effective coach-athlete relationships address empathy, honesty, respect and support, which shall in turn be holistic in the growth and development of coaches and players alike. While Eddie Jones has adopted this to an elite level, we as coaches should sit back and look at how we can ensure we are offering and developing some of these tactics in our age grade, grassroots or senior level for the improvement of our practices and player development. Multiple reports this month has seen Wallabies distancing and being distanced from Super Franchises and grassroots clubs alike. From Super Rugby sides being blamed for player fitness coming into Wallaby camp, Brendon Cannon's calls for professional players to be more or consistently involved in club game and Dean Mumm, president of RUPA, calling for changes to competition structure and costs before reducing playing pool and rugby interest of an entire Australian state (VIC or WA STILL to be confirmed), system centralization is a hot topic mixed within all these areas. However, is centralization with current lack of coordination and communication the issues OR is Australian Rugby suffering from lack of identity and integrity from bottom to top? 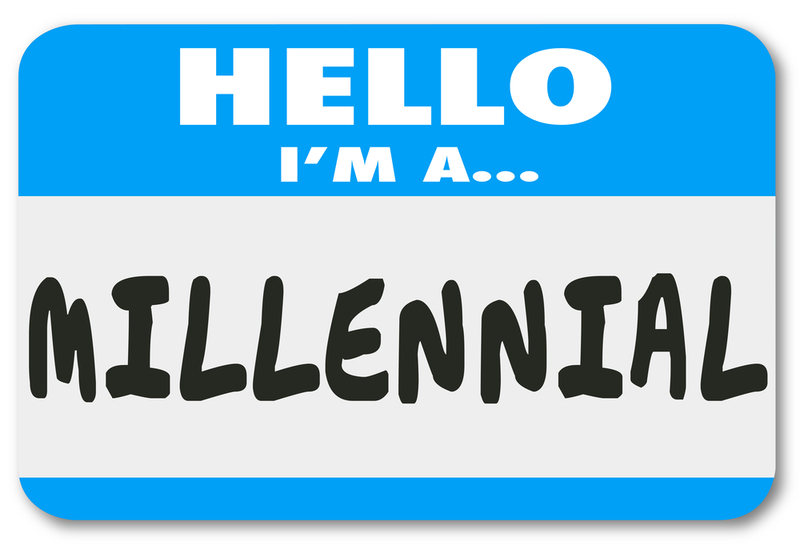 Where have these issues of identity arisen from? Previous research places meaning and purpose in the very heart of identity (McAdams, 1985). Acknowledging and integrating goals, roles, needs, skills and inclinations into suitable working scenarios shall help create an evolving narrative for who we are and who we want to be as a collective unit; in this case, as the Australian rugby community. The ARU released their strategic plan quite a few months ago now, covering strategies and plans from 2016-2020, taking of areas of "making rugby a game for all", "ignite Australia's passion for the game", "building sustainable elite success" and "create excellence in how the game is run". With increased participation in 7's and Women's game, development of age grade game for sustainable success with passion pouring from all corners, albeit regarding Wallaby demise in recent tests, many aspects are being worked on yet excellence in how the game is run is certainly an area needing addressing. Brendon Cannon came out and made a great statement, which would allow all players, administrators and supporters alike remember one of their desires listed in the strategic document; everything we are involved in is to "increase emphasis on grassroots and club rugby" to ultimately assist "success for the Wallabies, seen as most important outcome". Sew the same “Australian Rugby” badge on every single rugby jersey in the country. Boys and girls. From under 6s to the Wallabies to the Australian women’s sevens team. How powerful would that be? We are all in this together, no matter your age, gender or ability. We are one community. Kids would love the fact they have the same thing on their jersey that Israel Folau or Charlotte Caslick does. Up goes a poster and there you have a rugby kid locked in for life. One community. Identity. Integrity. From bottom to top. Attending the Australian Rugby National Coaching Conference in Brisbane last week, Mick Byrne talked regarding skill acquisition and how currently we are "coaching the game, not coaching the players". While he was discussing this at an elite level, he echoed this was being done at clubs and schools across the country also. The skills we are instilling in our players is as a result of behaviors and experiences from club and school coaching, including their attitudes and aptitudes to change. Therefore, if we want our Wallabies to play "entertaining and exciting brand of rugby", a goal outlined by supporters in the ARU document, the responsibility starts at our thriving grassroots working with our senior players and coaching group as a community of practice, who share concerns and passion for player development, learning how to do it better as they interact regularly and upskilling these players with meaning and purpose of generating more and better Wallabies in future. All involved parties having harmonious passion towards rugby should be positive and result in understanding of importance of the game's development while not over whelming each other’s identity. An equally or unequally obsessive passion towards the sport can show positive signs for direct commitment to development of rugby union yet shall result in externally regulated motivations taking control. High quality relationships, which are optimized by harmonious passion, should result in higher subjective well-being within involved stakeholders within the rugby community. Therefore, whilst frustrations with ARU and Wallabies recent performances have been displayed, previous research and the plan drafted by the Australian Rugby Union has offered the rugby community some building blocks of specific goals which we need to integrate roles, needs and skills into situations which shall help identify who we are and who we want to be as a community. A few eyebrows were raised when on the return of current Wallaby captain Stephen Moore, young gun Samu Kerevi retained the captaincy versus the Warratahs late April. However, recent interviews have indicated a better understanding of Samu's motivations on and off the field, offering suggestions for balanced, approach focused personal strivings. "What are personal strivings" I hear you ask? Personal strivings define motives or reasons for action in more specific categories yet remain abstract and flexible by nature (Singer, 2005). Emmons identified personal strivings as similar to motive dispositions with the difference being “the idiographic nature of strivings”; “more discriminative than motives yet more stable than projects or concerns” (Emmons, 1999). Strivings imply action orientated perspective on human motivation and stresses movement towards identifiable ends (Emmons, 1999) and act as motivational organizing principles that lend coherence and continuity to day to day goals (Sheldon and Kasser, 1995). Therefore, this would also include when “individuals strive towards particular modes of being without necessarily making strenuous effort" (Emmons, 1999). Ford and Nichols (1987) identified “individuals’ capacity for cognizing and perusing goals is revealed in everyday experience and what gives meaning and purpose to everyday lives”. Singer (2005) recognised that “examining individual’s personal strivings allows us to get at both long standing motivational concerns and behavioral tendencies that are likely to be tied to particular situations, roles and times that provide additional context we seek”. While Emmons recognised strivings as “abstracted qualities that can be achieved in variety of ways” (Emmons, 1986), personal strivings in an athlete setting identifies what players typically or characteristically try to do on daily basis within their sport. Why would this be important for athletes, including current Reds captain and Super 20 players I am investigating? Recognising personal strivings are necessary to understand what they or others want or value, how they function or adjust to achieve their goals, protect themselves from frustrations of goals or avoid feared outcomes while maintain motivated over periods of time. Emmons and Diener (1986) researched the positive effect related to presence and attainment of important goals in everyday life, echoing Emmons belief of progressing toward meaningful life goals is a prerequisite for subjective well-being (Emmons, 1986). Player personal strivings should satisfy three basic needs, akin to self-determined motivation principles; they should offer safety and control (autonomy), social belonging (relatedness) and self esteem or competency. Therefore, understanding personal strivings help explain course of player’s life or drivers beneath behaviour, offering reasons for player’s most immediate preoccupations or actions. All goals or strivings mentioned have an approach mindset where positive incentives are being sought after or moved towards as opposed to negative consequences or outcomes being avoided or prevented; this displays signs of a positive mindset, higher levels of intrinsic motivation and reduced anxiety towards his goals orientation. When coded, Kerevi shows further signs of subjective well being and self determined motivation as his high level listed strivings coded with intimacy, personal growth and achievement mindset. All these signs show a young leader, focused on improving and positive outcomes, working within close, reciprocal relationships with a desire to competing with self determined standard of excellence; a seemingly shrewd choice by Nick Stiles and his coaching team for years to come. Every single player out there wants to be better and we’re not doing enough work to make them better. The game has got to the point where only 60 per cent is structured, while the other 40 per cent is unstructured. All around the country, I watch teams doing their lineouts, doing their lineout drives. But they’re not doing any plays in an unstructured environment. We need to upskill our players, get them into that 40 per cent part of the game. We’re scoring on the structured part of the game. I suppose you’ve more of a license playing with Leinster than at international level. It's nice to go into that environment and know the way you are going to play and know that you are going to have a crack and see where it takes you. Different coaches have different game-plans. You stick to what they want to do. While both coaches display recognized importance for player involvement for development and improvements towards unstructured side of game, both appear to be generating potentially different player mindsets and motivational atmospheres to doing so. Comparing against work of self motivation written by Edward Deci and Richard Ryan, Byrne has reiterated a very controlling and pressurized statement of how players need to change to meet Wallaby coaches' expectations. Research has shown controlling statements undermine player's intrinsic motivations and antagonize autonomy, which in turns drains enthusiasm and interest in controlled activities; in this case, improvements to skills and the unstructured side of the game. Pressuring players to behave and act certain ways diminishes feelings of self determination, notably perceived autonomy and competence. Players are naturally embedded with tendency and energy to grow and develop; Wallaby coaches for this example could explore and promote internalization and integration of non structured side of the game. However, this perceived controlling context shall possibly impair development by promoting imposed coach introjection, a process which shall need to be repeated once done. External pressure from Wallabies coaches may lead to an urge to defy as the targeted goals are without player personal endorsement and not a true expression of self. By creating highly controlling contexts and environments through behaviors or language, we undermine the natural desire to feel competent and at best, controlling behaviors from the coaches may gain sense of compliance from the players yet this shall not produce lasting change. Meaningful and lasting change occurs when players are self motivated by accepting themselves, take interest and responsibility in what they do and decide they can be creative and are prepared to do it differently, all displayed in comments made by O'Brien. Lancaster and other Leinster coaches appear to have adopted and offered autonomy supportive style by offering choice, encouraging self initiation and display understanding for reasons for actions, creating mastery orientated players with high self esteem. These actions could result in the involved players being intrinsically motivated to improve within these areas of the game. This should result in better understanding, greater creativity, improved problem solving skills and willingness to learn and grow, all key skills required for unstructured side of the game. Intrinsically motivated player performance within an autonomy supportive environment such as the one created in the Irish province shall offer players with an optimal challenge. Players shall feel more responsible for development and performance while shall seek to collaboratively learn and evolve as a group with a greater sense of harmony and emotional integration to unstructured side of the game. So how could the Wallaby coaches promote autonomy to mastering the skills of the unstructured game? Cheika and co could (and should) involve players in goal setting process, allowing roles in decision making and offering choice of areas and ways to develop. When the players feel they are acting with a sense of choice, freedom and flexibility, working for the conman good and display true willingness to behave in accord with collective interests and values, they shall also be more capable to hanging behaviors needed to master the skills of the unstructured game. Remembering the extent to which player's behavior is autonomous, creative and intrinsically motivated is determined by the interaction of their own personalities and the degree to which the context is autonomy supportive. To allow the players to truly express themselves in unstructured side of the game, the Wallaby coaches must be committed to creating an socially supportive environment first to do so, similar to one of Chekia's old stomping grounds, Leinster. As reported by Rugby World in March 2017, "A global rugby season has been at the heart of many a discussion since the game went professional 20 years ago and last week World Rugby announced a new ‘optimized’ international calendar for the period 2020-32". As touched on, player welfare was meant to be taken into account with these changes yet was it really been addressed? On addressing the volume of rugby played and prioritizing rest periods for players, IRPA executive director Rob Nichol said “The key is being able to firstly ensure players get a period of rest, followed by a period of conditioning where they get adequate time to prepare for a competition and playing season. We feel between 12-14 weeks, possibly more, is required to achieve this.” However, have issues of mental exhaustion been addressed? Have we taken adequate steps to prevent player burnout and optimizing player well being? Radeke (1997) identified the main symptoms of athlete burnout syndrome, which results in player illness, injury or dropout. These symptoms are emotional and physical exhaustion, sport depersonalisation or devaluation and a reduced sense of accomplishment. Athlete burnout results from “chronically frustrated or unfulfilled basic physiological needs” (Cresswell, 2006), “denotes a negative emotional reaction to sport participation” (Gustafsson, Kenttä, Hassmén, & Lundqvist, 2007) and is “a consequence of chronic stress and exposure to a point where unfavorable cost-benefit ratio for sport engagement” (Thibaut and Kelly 1989). Therefore, an extended period of rest alone may not offer personal development, sense of achievement or intrinsic satisfaction through physical rest alone. Satisfying the basic needs of autonomy, competence and relatedness or connection to others shall “foster self determined motivation” (Hollembeak, 2005) and has been associated with “higher self-esteem, higher task engagement and lower anxiety” (Deci, 2001), which allow athletes or players to develop intrinsically defined motivation for goals or development within their sport. Basic needs satisfaction shall also result in positive psychological consequences such as adaptive coping strategies for personal development and flow experiences, ideal for player development and both consequences required for specializing adolescent athletes as part of personal development. However, intrinsic motivation is not the only reason for lower levels of athlete burnout; Lonsdale’s research found autonomous extrinsic motivations, such as integrated or identified regulators, also resulted in lower levels of athlete burnout. The proof of this extended rest concept may be proved next year with David Pocock expressing a desire to detach himself from the daily training regimen of a professional rugby player which helped him decide to take a sabbatical year in 2017. Pocock revealed he’d sought advice on taking time away from Dan Vickerman, the big Wallaby lock who quit Australian rugby in 2008 to study at Cambridge before returning for the 2011 Rugby World Cup whom sadly took his own life earlier this year. Like Vickerman, Pocock is exploring interests away from rugby, doing some courses with conservation group Wild Ark, spend a week at Kruger National Park, another seven days in Botswana, as well as help his 80-year-old grandfather!! "There's a lot of stuff outside of rugby I'm keen to explore," Pocock says. "I'm just going into next year with an open mind and it'd be a real treat not having that pre-season just looming like most holidays when you get two weeks of nothing and then you have to do fitness again." For those unaware, my passion and strong belief for a unified Global Rugby Calendar is something I want to add weight to and hope will come to fruition during my involvement in the sport. Another meeting held in San Francisco in late Jan 2017 saw comments from Bill Beaumont (Chairman of World Rugby) offer optimism that this may be on track. "During a positive, collaborative and highly-productive forum, key principles were agreed that will underpin the development of the calendar which has player welfare and the harmony of the international and club game at its heart"
I want to see ideas such as extended international windows for current annual competitions and June/November internationals to be measure of all elite players, agreed club competition seasons dates (my ideas would be Euro Champions Cup and Super Rugby from late Feb-May and domestic leagues such as English, Pro12, Japanese and Currie Cups/NRC/NPC in late July-October, hopefully resulting less player movement, greater opportunities for existing or developing players or agreed dual contracts on global scale) and global off season of December-January. One of the main ideas for these proposed suggestions and areas surrounding mentioned discussions of player welfare include player burnout. Researchers studying the experiences of individuals in human care settings propose the burnout syndrome consists of three central characteristics: emotional exhaustion, reduced accomplishment and depersonalization (Maslach, 1982). Athlete devaluation to sport, regarded as “perhaps most cognitive of burnout dimensions” (Lemyre, 2006), has strong links to lack of autonomy (such as feelings of choice and self-directedness in sport development) and competence (perceptions of effectiveness in sport or team). Within Lonsdale’s research, he recognised that “self-determined motivation moderates the relationships that competence and autonomy had with exhaustion” (Lonsdale, 2009); both emotional exhaustion and devaluation were related to unfulfilled or lack of self-determined motivations. Ryan and Deci (2000) also believed “physiological need for relatedness may play a more distal role than competence and autonomy”. Hodge’s research echoed “high burnout players (investigated) had lower competence and autonomy scores yet didn’t report different relatedness (connection to others) scores” (Hodge, 2008). Therefore, straight away, the idea of "burned out players" would suggest less autonomy or feeling of control and competence or impact in teams or competitions involved in rather than physical exhaustion. Like I suggest, it's having the all unions of world rugby offer choices of where and when to play rugby to gain some personal sense of achievement, development or connectivity within or external to rugby circles to gain some deeper meaning in player's lives. Athlete burnout results from “chronically frustrated or unfulfilled basic physiological needs” (Cresswell, 2006), with reduced accomplishment and devaluation featured most prominently and “denotes a negative emotional reaction to sport participation” (Gustafsson, Kenttä, Hassmén, & Lundqvist, 2007). Satisfying these basic needs shall “foster self-determined motivation” (Hollembeak, 2005) and has been associated with “higher self-esteem, higher task engagement and lower anxiety” (Deci, 2001), which allow athletes or players to develop intrinsically defined motivation for goals or development within their sport. Basic needs satisfaction shall also result in positive psychological consequences such as adaptive coping strategies for personal development and flow experiences, ideal for player development and both consequences required for specialising adolescent athletes as part of personal development. However, intrinsic motivation is not the only reason for lower levels of athlete burnout; Lonsdale’s research found autonomous extrinsic motivations, such as integrated or identified regulators, also resulted in lower levels of athlete burnout. Similar research sees Gustafsson (2007) report findings that team sport male athletes showed higher burnout scores (compared to individual athletes) based on emotional and physical exhaustion and devaluation of coach and co-athletes, while displaying no significant correlation between training volume and burnout scores. Therefore, the emotional support and perceived efficacy in sport is areas coaches can assist for prolonged athlete involvement, retention and engagement, which can be enhanced by understanding of what players’ value and why. Therefore, ideas such as players being able to express a sense of themselves or achieving personal valued outcomes (personal strivings) could be areas to increase athlete engagement to sports or reduce levels of dropout from rugby if adopted or encouraged. The most obvious and current example being David Pocock; having been granted 12 months away from rugby to pursue other goals should see him come back a more determined player, having satisfied other pursuits in his life. From Gould’s research, he gained ideas for coaches such as cultivating personal involvement with players, offering two way communication, utilizing player input and understanding player’s feelings (Gould, Tuffey, Udry, & Loehr, 1996). Cresswell and Eklund (2006) also found ideas such as enjoyable challenges within rugby, open and free communication with coaches and management alongside few or flexible responsibilities outside sport allowed and encouraged player engagement and reduced burnout or dropout. Coaches and administration staff alike should take note from qualitative investigations which found attributions to burnout symptoms included transitions between competitions or stages in season, which added emotional and mental stress; pressure to comply and perform in elite environments and negative development environments, all areas which could factor and enable greater control for players and coaches alike. I believe many of these issues these could potentially be prevented with a global rugby calendar, offering greater opportunity and choice to those involved in rugby and extending opportunity to enter to the current diverse groups. Player leadership within rugby union has become a topic in point last week with Eddie Jones (England RFU Head Coach) commenting during the week of the lack of leadership within his squad. "Apart from working on the fundamental skills and increasing the depth of the squad, one thing we need to do is increase the leadership density of the team. That's a big project going forward"
Therefore, how and who can step up and fill these vacant voids suggested in coach Jones' squad? Quoting from past research, leaders within team environments have been seen to drive and coordinate 3 main areas or functions being task related, social functionality and external obligations (Longhead, 2006). Within team environments, we can find different forms of leadership forming through formally appointed leadership roles, informal leadership and/or peer leadership roles, whereby a person may only effect 2 or more people within the group yet their actions or input leads to influence of others. Looking at Leadership Scale for Sports (Chelladurai, 1980), within these 3 functioning areas of task, social or external, it looks at which areas players look for leadership within. These areas include training and instruction, democratic behaviour, autocratic behaviour, social support and positive feedback. So which areas of leadership is Eddie searching for...? Studies have shown informal leaders or peer leaders can complete functions that formally appointed leaders such as Dylan Hartley cannot. Peer leaders are seen as influential on task related goals of the group as a whole and focus on team harmony and collective cohesion; these leaders offer greater impact around areas such as social support, positive feedback and can offer democratic decision making dependent on when situation requires them and to as small or large a group within the team as opposed to the when’s and whom by which expectations or protocol sets. Athlete or peer leaders engaged in social behaviors positively influence team cohesion and performance as a result (Vincer, 2010) as social cohesion has shown stronger link with performance than task cohesion (Jowett, 2004). These informal leaders are recognized by certain traits, most notably skill level amongst the playing group, the strongest index of peer leadership (Glenn & Horn 1993). Moran and Weiss (2006) also recognized peer leaders have higher perceived levels of competence and increased ability for expressiveness. A positive relationship has been demonstrated between the presence of athlete leaders and team outcomes such as player satisfaction, team cohesion, confidence and performance (Fransen, 2015); therefore, a open, honest and confident side....seemingly where England side have been for past 12-14 months. So, where else can coach Jones look towards? Past research has recognized good teams having good leaders with strong social connectedness, which goes hand in hand with task leadership, as displays higher level of collective efficacy (Fransen, 2015). The quality of social support received is critical to group success and player satisfaction; while important to receive social support from coach-athlete relationship, the increased pressure to ensure the player does not let down their parts within the relationship can lower autonomy and intrinsic motivation through perceived controlling behaviours. Therefore, the leadership dynamics and coach’s willingness to allow player leaders to be identified, creating connected individuals and responsibility being distributed amongst the group through social networking is important within team dynamics. Coaching success stems around the competence, confidence, connection and character developed by the athlete as a result of the coach-player relations; however, coach adopted transformational leadership styles, which look at the importance on the leader-follower relationship, would result in positive intrinsic motivations and increased athlete effort. Bass (1985) recognizes this style of leadership as the ability to inspire and motivate followers to exceed performance expectations by shaping follower’s beliefs and attitudes. This form of leadership can be developed by inspiration or motivation to team members, through creating a vision of common goals, idealizing influence through modelling behaviors or values, individualizing consideration, through allowing for other’s needs and feelings and intellectual stimulation through encouraging creativity. However, if levels of autonomy are not offered, player’s feelings are ignored or common team goals discounted, this could move into controlling or style. In coaches attempts to gain impact in instruction for learning or becoming task focused the coach could adopting an autocratic or controlling interpersonal style. Adopting this style puts reduces players levels of autonomy and increases pressure on the players to act, think and feel in a way consistent to the needs and wants of the coach (Amorose, 2015). In developing levels of control through power assertive techniques forcing player compliance and using social comparison for evaluation, would adopting these leadership styles for task functions while allowing player or peer leaders to satisfy individual player social relatedness and perceived group autonomy gain suitable levels of satisfaction and group cohesion? Is Eddie suggesting relinquishing some control to the players?? Previous studies suggest collective cohesion and team success should be seen as leadership driven and responsibility for all team members as high levels of individual’s intrinsic motivations are experienced when coaches exhibit a leadership style that empathized instructional behaviors and democratic behavior rather than autocratic leadership styles (Amorose, 2007). It is recognized good teams having good leaders with strong social connectedness, which goes hand in hand with task leadership, as displays higher level of collective efficacy (Fransen, 2015). The leadership dynamics and coach’s willingness to allow player leaders to be identified, creating connected individuals and responsibility being distributed amongst the group through social networking is important within team dynamics.